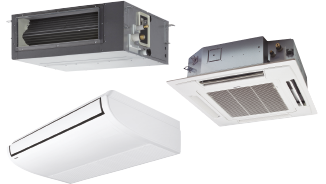 VRF with outstanding energy-saving performance and powerful operation SEER 7,56 (18HP model). 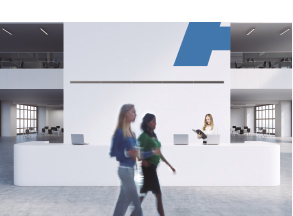 A game-changing VRF system delivering energy-saving performance, powerful operation, reliability and comfort surpassing anything previously possible. 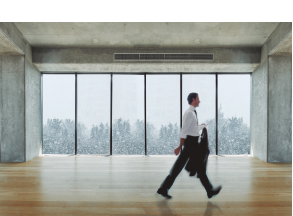 It represents a true paradigm shift in air conditioning solutions. Taking quality to the extreme — that’s the Panasonic challenge. ECOi EX is highly reliable, with strong cooling & heating power, even when operating at extreme ambient temperatures. 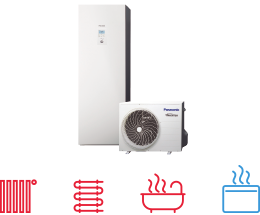 The units can operate at 100% of capacity at 43°C, reaching a great cooling operation up to 52°C and in heating -25°C. Also, the ECOi EX features include Bluefin in newly designed heat exchanger improving efficiency as well in marine ambient. A silicone coated PCB (Printed Circuit Board) protects the unit from being damaged by environmental factors such as moisture and dust. 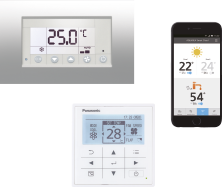 The new ECOi EX system is designed to increase energy efficiency by delivering the highest ESEER rating, as well as high efficiency for part-load operations. The system has reduced energy costs thanks to “All-Inverter Compressors”, with independent control to deliver highly flexible performance. Also, the ECOi EX features an enlarged heat exchanger with triple surfaces that allow for improved heat transfer and a newly designed curved air discharge bell-mouth for better aerodynamics. The three-stage oil recovery design makes it able to minimise the frequency of forced oil recovery, leading to reduced energy costs and sustained comfort. 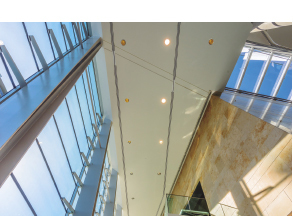 Efficiency in VRF systems. The only way to compare so far, was the nominal efficiency at outdoor ambient temperature of 35°C (EER) in Cooling and at 7°C in heating (COP). With new EN-14825 seasonal efficiency will be shown, the result will be SEER and SCOP. New ECOi EX is reaching excellent performance without using any additional saving functions. The Panasonic system efficiently manages oil recovery in three stages; minimising the frequency of forced oil recovery while reducing energy cost and maintaining comfort. 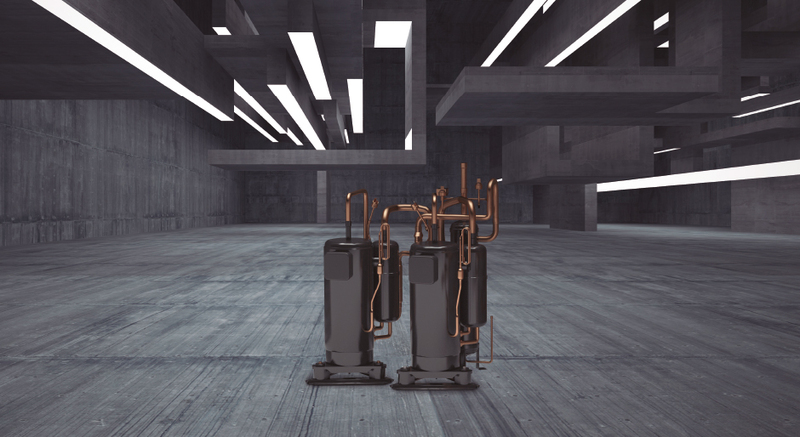 With its up to 1000 meters of pipeline, its maximum 30 meters height difference between indoor units and its 200 meters length, the design possibilities have grown exponentially making the new ECOi EX the ideal air conditioning option for long haul buildings, such as train stations, airports, schools or hospitals. These advantages are enhanced with the wide range of indoor unit models and capacities facilitating the perfect adaptation to all kind of projects. The careful selection of controls and peripherals such as the Pump Down, the AHU or/and the chiller, enables an optimum system use. Connectable Maximum allowable indoor / outdoor capacity ratio up to 200%. 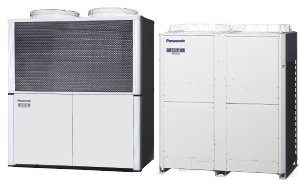 Two independently controlled inverter compressors achieve high efficiency. 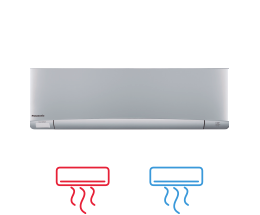 in the rated cooling condition and EER performance. Remarkable improvement on key components: extraordinary energy-saving performance and redesigned for smooth and better air discharge. Enlarged heat exchanger surface area with triple surface. * For 8 & 10HP unit, the heat exchanger is 2 row design. Multiple large-capacity all inverter compressors (more than 14HP). Newly designed curved air discharge bell mouth for better aerodynamics.